Since its 2016 launch, Down the Rabbit Hole has lived up to its name with some leftfield productions, and its adaptation of the David Ives play Venus in Fur continues in similar vein. 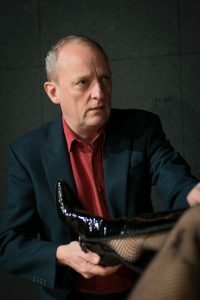 Jeremy Thomas-Poulsen has cast four actors in two roles – a sadomasochistic actress and a director inclined to submission – thus giving the audience four possible line-ups on any given night. Theatre group co-founders Vanessa Poole (above) and Jens Blegaa (below) are joined by Vibeke Nielsen (top) and Alex Lehman (above and top), performers who have honed their skills in NYC and London respectively.